Starmont Winery makes its home on a portion of the historic Stanly Ranch in the Los Carneros nested appellation, established as a winegrowing region over 150 years ago. For Premiere Napa Valley, we crafted the 2017 Stanly Ranch Estate Pinot Noir, grown on Dijon Clone 667 and whole berry fermented with native yeast in an open-top fermenter. This unique wine is aged 20 months in new French oak, racked twice; nine months on primary lees, 11 months of light lees. It was during his time at UC Davis that Jeff developed a passion for wine. His burgeoning enthusiasm inspired him to take a job as a harvest intern at Gallo after graduation. In 2007, Jeff headed to Napa and joined the Starmont cellar crew. He was quickly promoted to Cellar Master a year later. 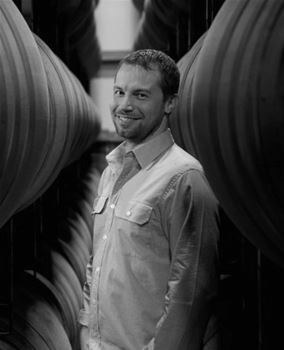 In 2010, Jeff became Starmont's Assistant Winemaker and in 2014 he was elevated to Winemaker. Education: Born in Alaska and raised in Minnesota, Jeff Crawford headed to Hawaii after high school to escape the cold. Fully thawed in 1997, he moved back to the mainland to earn his B.A. in Economics with a Minor in Philosophy from UC Davis. Jeff's vinous perspective has been shaped by his journeys to less-traveled winegrowing locales around the globe including Oregon, Germany and Greece. "I'm constantly trying to expand my wine horizons through travel, reading, education, conversation and tasting. Every so often I actually drink some wine too. I just received my Level 3 WSET Certificate and will continue to take classes and attend seminars in order to sharpen my knowledge and hone my craft." With Jeff's input, the winery has upgraded its winemaking equipment and implemented new protocols to ensure that the wines are of the highest quality and true to their origins. "In many ways Starmont is a microcosm of the Carneros region," says Jeff. "Our wines are classically balanced and subtle. Structure and evenhandedness are the rule rather than the exception. And, although we are focused on Pinot Noir and Chardonnay, we also produce some pretty impressive Merlots and Syrahs."